This month I made Tri Shutter cards for this months Christmas cards. 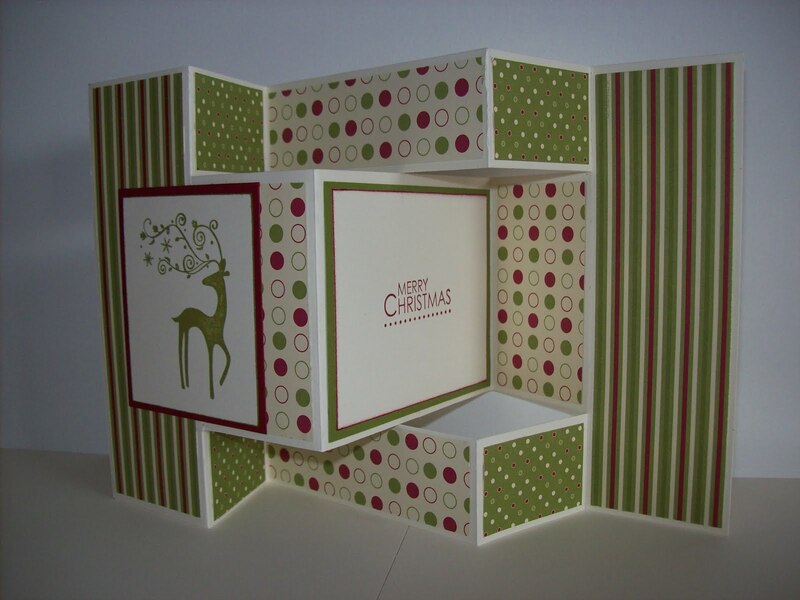 Accessories: Jolly Holiday Designer Series Paper & Adhesives. 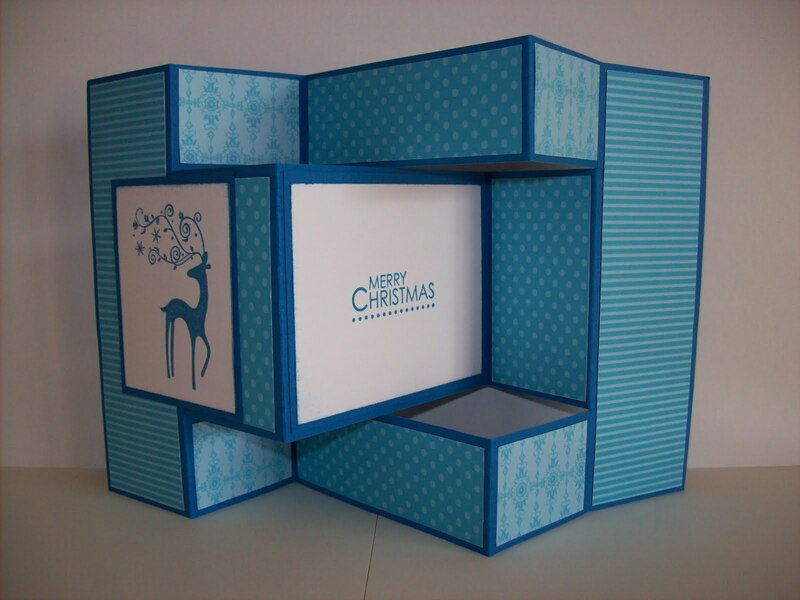 Accessories: Tempting Turquoise atters Designer Series Paper and Adhesives. 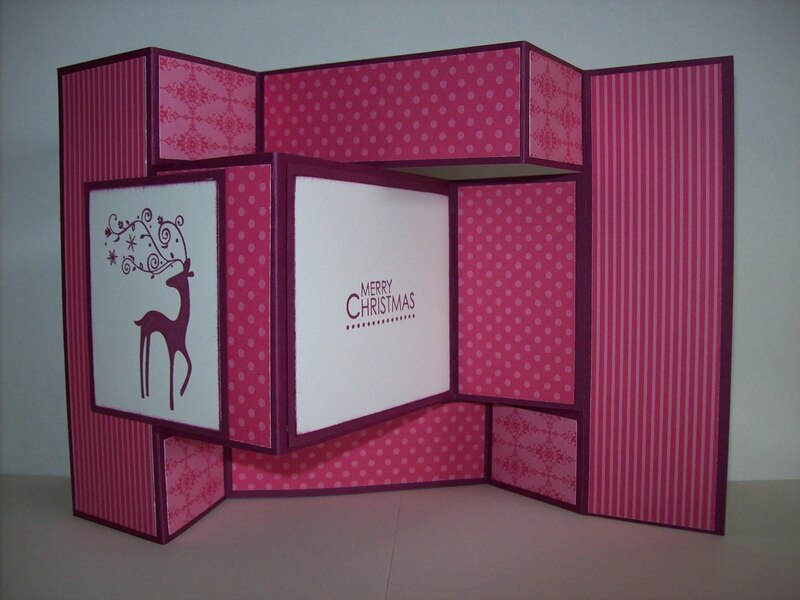 Accessories: Melon Mambo Patterns Designer Series Paper and Adhesives. 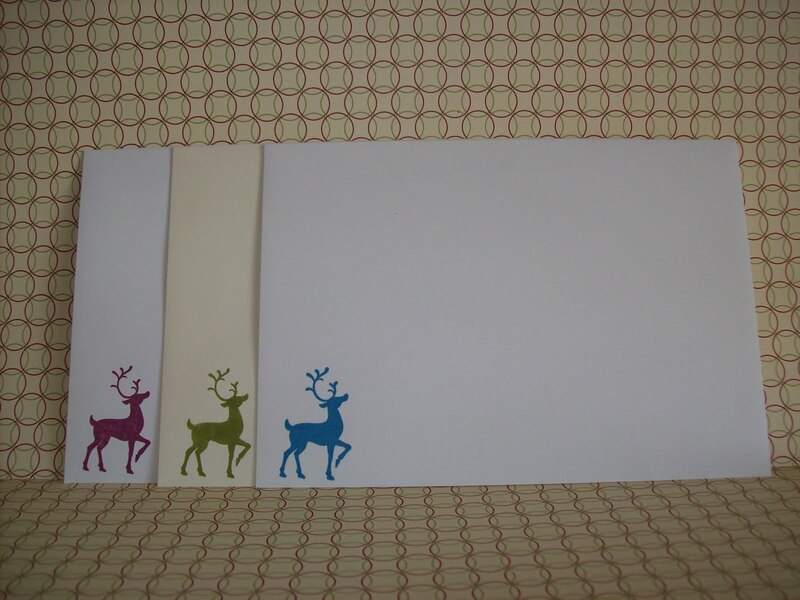 I used Whisper White and Very Vanilla envelopes with matching Dasher stamped on them.